Osteoarthritis of the knee is a degenerative condition which results in the gradual breakdown of cartilage in the knee joint and remains one of the more common sources of knee pain. The person feels pain as a result of this loss in cartilage, which causes bone on bone contact which can affect them when both moving and resting. 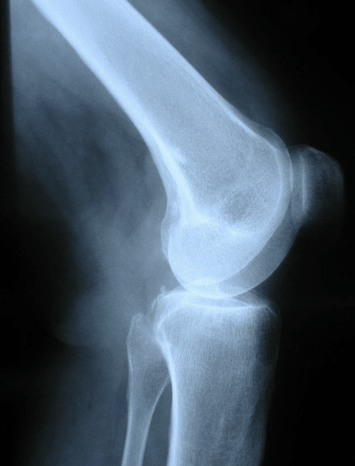 There are both surgical and non-surgical options available to those suffering from osteoarthritis of the knee. Surgery is ultimately deemed to be a last resort for many patients opting for non-surgical solutions in the first instance. Surgery can cover anything from Arthroscopy, High Tibial Osteotomy to partial or total knee replacement, with the latter offering a life span of up to 15 years. Whilst this may be considered as a solution the more major surgixal option requires a great deal of postoperative rehabilitation of up to 6 months before being able to walk unaided. The success of non-surgical treatments can be affected by the extent of the damage and lifestyle factors but can vary from person to person and from knee to knee. One of the more common non-invasive options available is that of the Unloader One, a clinically proven knee brace designed to manage the symptoms associated with the condition of unicompartmental osteoarthritis. 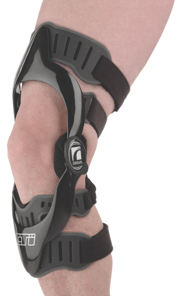 The Unloader One knee brace has been designed decrease the amount of pain felt by the sufferer. This is achieved by reducing the pressure on the affected side of the knee and reducing the bone on bone contact which is the source of the pain. In doing this, the wearer can have potentially increased mobility which can also reduce their reliance on any pain medication they may be taking. By reducing the amount of pain felt, mobility can also be potentially increased, which in turn can help to manage the condition. Gentle and moderate exercise can work in conjunction with the Unloader One knee brace to help manage the symptoms of osteoarthritis. It also serves a tool for delaying surgery with its non-invasive approach that allows wearers to continue with their life’s. 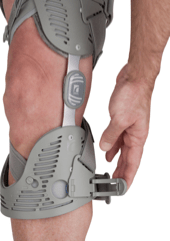 The Unloader One is a clinically prescribed knee brace, therefore must be prescribed by a qualified clinician. For more information or to arrange a consultation please contact us. Recent research has revealed 8 more genes linked to osteoarthritis, bringing the total number of suspects to 11. A study at Newcastle University, funded by the Arthritis Research Council has reinforced what practitioners and sufferers have suspected for some time. Osteoarthritis affects over 40 % of the population over the age of 70 but practitioners commonly see patients in their 40’s onward, all relating the same story; “well it runs in the family you know”. Whilst osteoarthritis is linked to injury and joint trauma, it is thought that inherited factors account for over half of the cases in the UK. The research, published in The Lancet compared the DNA of 7,400 UK osteoarthritis patients with that of 11,000 healthy volunteers. Being able to track down the main gene offenders gives scientists a greater understanding of the condition, how it affects our joints and look at potential new treatments. Protelos – a treatment for osteoarthritis? Releases in the national UK press today stated that Protelos can help reduce the need for joint replacement. A news article on Calssic FM today (Friday 23rd of March) said this “New drug could reduce the need for expensive hip and knee replacement operations and was easy to take as a lemon flavoured effervescent drink”. Literally within the hour, we had clients ringing us to ask how they could get hold of this, under the impression it was just like taking a supplement. We are keen to ensure our patients receive up to date information on the types of treatment available, so we approached the French manufacturer, Servier, to find out the claims behind this news article and one of their medical representatives kindly telephoned us this afternoon to clarify. As we suspected, this story has been sensationalised with a bias toward the drug saving the NHS millions in joint replacement surgery. Protelos (Strontium ranelate) is a non hormonal drug widely available in the UK since November 2004, used to reduce the risk of bone fractures resulting from Osteoporosis in women. Protelos contains a substance strontium ranelate, belonging to a group of medicines used to treat bone diseases and works by reducing bone breakdown and stimulating rebuilding of normal quality bone, therefore reducing the risk of fracture. He told us that a research paper has recently been presented at the European Congress on Osteoprosis in Bordeaux, France showing that there appeared to be “side effects” of the drug which seemed to help Osteoarthritic knee joints in post menopausal osteoporosis. The French manufacturer, Servier, say they have not issued a press release regarding the use of Protelos for the treatment for Osteoarthritis. He was keen to point out that Protelos is only licensed as a prescription only medication for the treatment of post menopausal osteoporosis in women. It is not intended or licensed as a treatment or preventative for Osteoarthritis. The Sportsphysio.com Functional Feet treatment can give tired, aching feet a new lease of life. The foot is a complex structure, consisting of 26 small bones and numerous joints, each with a different and important function. Many muscles and tendons of the foot occupy tight, cramped spaces. Our feet carry our full body weight and each pound of weight places a stress equal to seven pounds on the ankle joint. People who stand on their feet all day, walkers, runners and climbers often suffer from aches and pains in the foot and many consider this a normal part of daily life. However, tightened structures can put undue stress on the joints of the foot causing us to walk awkwardly, damaging cartilage, tendons and ligaments. Previous injuries or surgery to the foot and ankle may make joints susceptible to Osteoarthritis. As the foot ages, tendons and ligaments tighten, joint spaces narrow and structures become less flexible. Resulting in Stiffness, restricted movement and sometimes pain and swelling in the foot and ankle. In severe cases, this may refer problems to the knee, hip and lower back. Conditions such as plantar fasciits may develop as a result of stiffening of the foots’ bony structure. In fact, most of the patients we see suffering from this painful condition, are aged over 40. Connective tissue techniques and massage make the tendons, fascia and muscles more supple, while gentle mobilisation of the joints, applied through their correct planes of motion help restore the true function of the foot, increasing flexibility, range of motion and improving gait. This foot treatment is generally preventative, rather than being aimed at the injured foot and is ideal for those who spend long hours on their feet. Many of our patients say that they feel like they have ‘new feet’ after this treatment and are genuinely amazed at how different they feel. This short video from eMedTV gives an insight into the structure of the ankle joint.